I was recently fortunate enough to speak at the the Emergency Medicine Educators Conference in Coventry on a subject that continues to interest me, that of gestalt, judgement and clinical decision making. As I get older I increasingly realise that simply acquiring more knowledge and skills is not enough. What’s really important is how we use that information, how we make decisions, how we make mistakes and how we get it right. I’m also deep in my preparations for a talk at #SMACCUS on ‘Guess, Gestalt or Genius’ and so I’m always on the look out for studies in this area (as there are surprising few). In my talk in Coventry I used the question of when to activate the Major Haemorrhage Protocol (1:1:1 resuscitation as per PROPPR) in trauma patients. Clearly not all patients need it and there are potential harms if we use it on the wrong patients. So, there is at least interest out there in the topic and I am clearly not alone in wondering if we as trauma team leaders are good at making decisions about major bleeding. The PROMMTT trial enrolled patients at 10 level-1 trauma centres in the US. The main trial was designed to look at transfusion protocols in severely injured trauma patients. This is therefore a spin off study from the main trial. In essence the ‘trauma attending’ was asked in real time whether or not they thought the patient in front of them is likely to be massively transfused at a time point 10 mins after the patient arrived in the ED. The authors compared clinician Gestalt with other scoring systems for major haemorrhage. These were the TASH (Trauma Associated Severe Haemorrhage), the McLaughlin Score and the ABC (assessment of blood consumption) score. These are objective scoring systems that are used in some trauma centres and are used as a comparison to clinician gestalt. So, it’s basically a comparison to see how clinicians compare to cold hard data! It is interesting that the comparison here is about the transfusion of 10 units. Whilst that is in my mind in the resus room, it’s not really decision I make. Rather I am interested to know what to do with the patient right now, the immediate management of the patient in terms of their volume and clotting requirements is paramount and whilst there are patients who I believe would benefit from a massive transfusion approach, they might not need more than 10 units over 24 hours. I can think of several patients who have arrived in shock, who required less than 10 units over 24 hours but in whom a 1:1:1 transfusion approach was entirely appropriate. I would therefore question whether this is really the right question to ask. Across the 10 trauma centres the study identified 1245 patients of whom 966 met criteria for this study and 221 of those eventually ended up with a massive transfusion. Patients were eligible if they received at least one unit of RBCs in the first 6 hours after admission. So, this is a group of patients who were presumed to be bleeding, yet the differentiation is about the volume of RBCs eventually transfused. The headline finding is that clinician gestalt is not that great. Gestalt sensitivity was 65.6% and specificity was 63.8%. PPV and NPV were 34.9% and 86.2% respectively. However, this is not that different from the objective scoring systems (TASH, McLaughlin, ABC) as these also perform poorly in this setting. There’s a nice ROC curve showing this in the paper (Fig 2 which we can’t reproduce here). The TASH score appears to be the best performing test, but there is little clinically significant difference between the scores. To some extent this is to be expected. Although Gestalt is being compared to objective score the information being processed by the trauma attending will include some of the factors included in those objective scores (SBP for example). So Gestalt incorporates objective data plus other information, it is not a separate entity in decision making. The authors looked at those patients who ‘fool us’. Those patients who are are Gestalt negative but end up with massive transfusion. In keeping with other studies these were a mixed group, but were more often bleeding into the pelvis with less deviation in initial lab tests. There are a number of problems with papers like this. Simply asking the question during the study may have precipitated the attending to activate the massive transfusion policy. The authors mention this as a concern, and also refer to past data showing failure to comply and activate in observational studies leading to worse patient outcome. Recruitment was an issue. 23% of patients who were eligible did not have the gestalt question asked during the study. Obviously they could not be included in the study. The authors state that they were not statistically different to those included – but we cannot be sure of this. As this was a sub trial of PROMMTT then the same criteria were used and that may have excluded some patients of interest. Patients with rapid death (within 30 mins) were not included in this study. They might be a group where gestalt may make a difference. Similarly those patients who did not get blood early were not included. This is not therefore all trauma patients and some differences at the extremes may influence results. We have an interest in clotting at St.Emlyn’s and would love to see a trial looking at whether early TEG/ROTEM can assist decision making. So is Gestalt of no use? I’m not sure we can say that. It appears to be no worse than objective scoring systems and in settings where early imaging/investigation is not available it may be the best available tool. Perhaps this study reminds me that within the first assessment of all trauma patients I should have my own cognitive check to ask whether the patient in front of me needs a massive transfusion approach. Similarly I now know that relying on myself or on my objective scoring system is unreliable. This confirms my previous thoughts that we are not great at predicting who will require blood. For me this means that it’s a decision that I must constantly review and reassess for all my trauma patients in the resus room. 2. Trauma! Massive Transfusion at Life in the Fast Lane. Nice review from Chris Nickson on spotting it, managing it and resolving it. 7. State of the art: massive transfusion. McDaniel LM1, Etchill EW, Raval JS, Neal MD. Transfus Med. 2014 Jun;24(3):138-44. doi: 10.1111/tme.12125. 8. 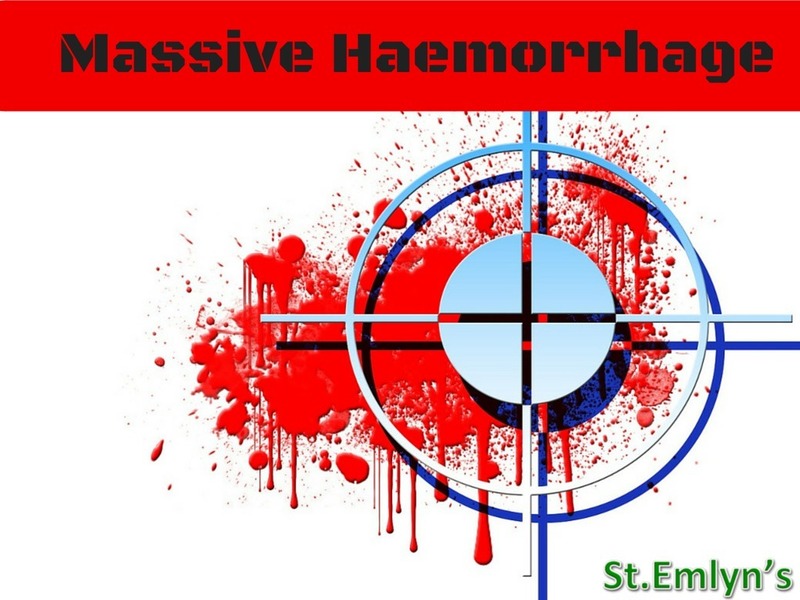 Critical care in emergency department: massive haemorrhage in trauma. Mahambrey T1, Pendry K, Nee A, Bonney S, Nee PA. Emerg Med J. 2013 Jan;30(1):9-14. doi: 10.1136/emermed-2011-201061. Epub 2012 Feb 10. The problem isn’t one of knowledge, analysis or application. The less data points one has, the less accurate will be the conclusion. Therefore, early in the phase of any illness it is always difficult to judge with absolute reliability the true outcome (or response). Gerd Gigerenzer would disagree with you DocXology – in a complex system a more complicated model does not necessarily predict better – to add another quote (from Einstein) “Everything should be made as simple as possible, but not simpler”. So you would recommend to perform a FAST scan in just one quadrant for trauma decision making?